What they do all day? Becoming an RN can be very stressful and entail long hours, but the work can be quite rewarding. In hospitals, nurses care for people who are sick or injured by administering shots, IVs and catheters, dispensing medications and performing other tasks. Nurses also work in doctors' offices where they help patients fight and prevent illnesses and disease by assessing their health and maintaining records. --J.A. 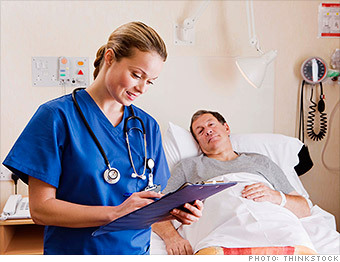 Do Registered Nurses have great jobs, or what?